Product prices and availability are accurate as of 2019-04-21 03:40:46 UTC and are subject to change. Any price and availability information displayed on http://www.amazon.com/ at the time of purchase will apply to the purchase of this product. 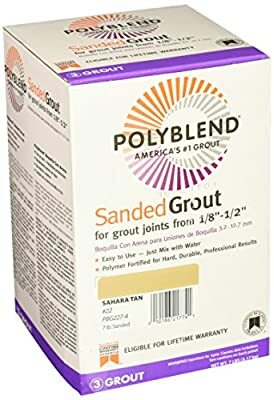 7 LB, Delorian Gray, Sanded Polyblend Grout, For Use On Floors Only, Polymer Modified Resulting In Denser, Smoother Grout Which Is Easier To Spread & Clean Up, For Joints From 1/8" To 1/2" Wide.